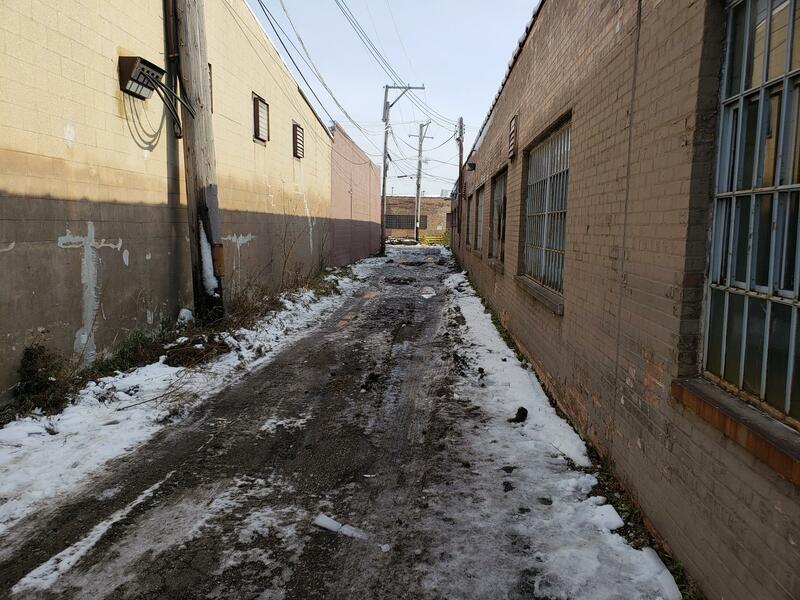 Chicago Department of Water Management left the alley a mess. Fix it NOW. Time to fire Commissioner Randy Conner of the Chicago Department of Water Management. As a cement finisher, it made no sense to have this man as a Commissioner. Today, I had the honor to witness Garry McCarthy on his local campaign to listen to the problems Chicago Business and homeowners are having with the Management team Rahm Emanuel put together the last 8 years. I am certain Garry was not ready for the many problems businesses have with an already competitive environment. The world is a tough place to compete. The last thing you need is a City that makes a lousy attempt to provide needed services you are paying for. Safety first Chicago. One such story revolves around Slidematic, at 4520 West Addison in Chicago. I was impressed by the neat and clean workplace and the many steps they have taken to provide good jobs for Chicago residents. Chicago needs every job it can get. The last thing Chicago needs to do is give a company an excuse to move to the suburbs. Mayor Rahm Emanuel has spent far too much time and effort on the downtown area. I just got off the phone with Kathleen at the DOWM main Jardine Plant. She assured me an investigator will look into my concerns and get something done. Thank you, Kathleen, that is what the public demands. Special thanks to Garry McCarthy. Previous PostPrevious Inspector General explains why Alderman Burke is going to jail. Next PostNext Please watch this video by Chance the Rapper. Great. With Edward “the diaper” Burke.